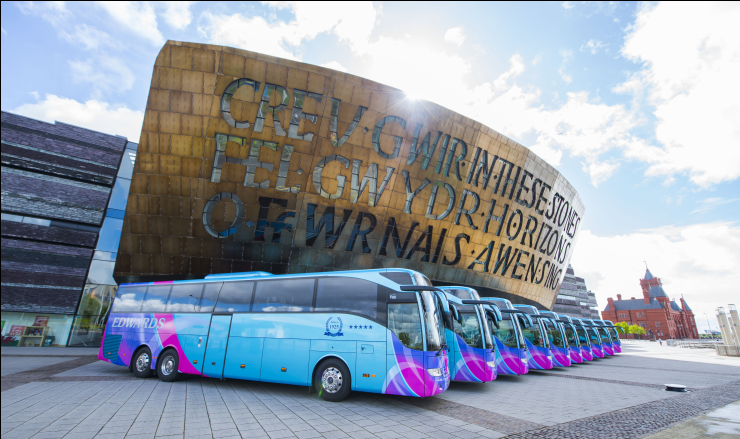 Edwards Coaches, the largest independent coach operator in Wales and one of the largest in the UK, has secured a £2.2 million funding package from Santander Corporate & Commercial to assist with the purchase of ten new Mercedes coaches. In particular, the deal will allow Edwards Coaches to expand its fleet of holiday coaches, a key growth area for the business. 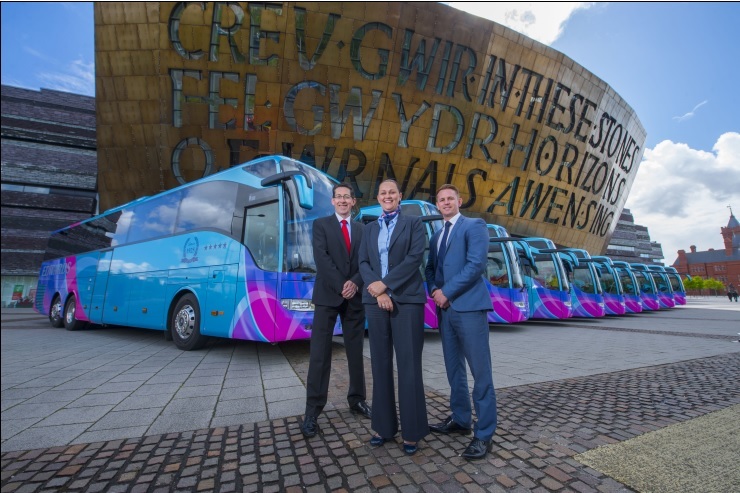 The award-winning 5th generation family run business, which is celebrating its 90th anniversary this year, currently operates a fleet of over 300 buses and coaches from its main operating centre at Pontypridd. They transport a number of high profile customers like the Welsh Rugby Union and Welsh Football team, Cardiff City Football, along with the regional rugby teams of the Scarletts, Blues and Gwent Dragons. Edwards Coaches carries 6,500 students to school every day and provided over 80,000 clients with customised package holidays. The company will use the funding to purchase ten new Mercedes coaches, the largest single investment for the company in its holiday fleet. The investment package will not only further the businesses’ growth strategy but also increase its market share in the local tourist sector. In the year to March 2015, Edwards Coaches expects to register a turnover of £36 million, 10% up on 2014.